Lee Soon-jae, an 82-year-old veteran actor, vowed to cultivate the world's best idol band as headmaster of "Idol School" that will open this week to provide an intensive training program for selected gril students. "Based on thorough training, curriculum, and personality education, I will cultivate the best idol group in the world," Lee said in a production press conference for cable TV Mnet's survival program to produce a nine-member project girl group. The first episode will air on Friday night. The principal will control a group of dancers, teachers and trainers that included homeroom teacher Heechul of popular boy band Super Junior. BaDa and Jang Jin-young were selected as vocal trainers. "Idol School" is a new reality series aimed at teaching girls how to become an idol through training for 11 weeks. 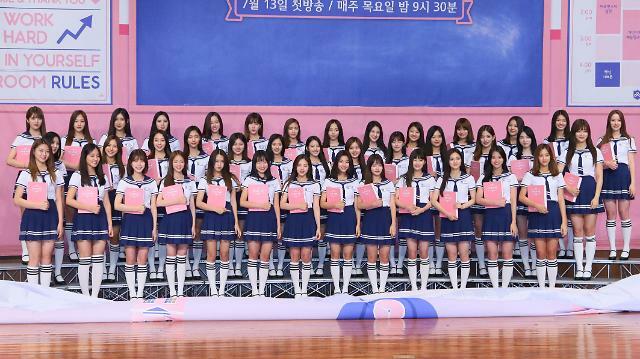 Top students will debut in a girl group after graduation. The curriculum focuses on short-term intensive and customized classes for 41 school girls unaffiliated with any labels or management agencies. Mnet's earlier survival audition program "Produce 101" successfully launched a popular girl group named "I.O.I" formed with 11 finalists among a number of trainees from management agencies.The group stopped activity at the end of January.